Can an Interior be Both Rustic and Elegant? You are here: Home / Architecture / Can an Interior be Both Rustic and Elegant? 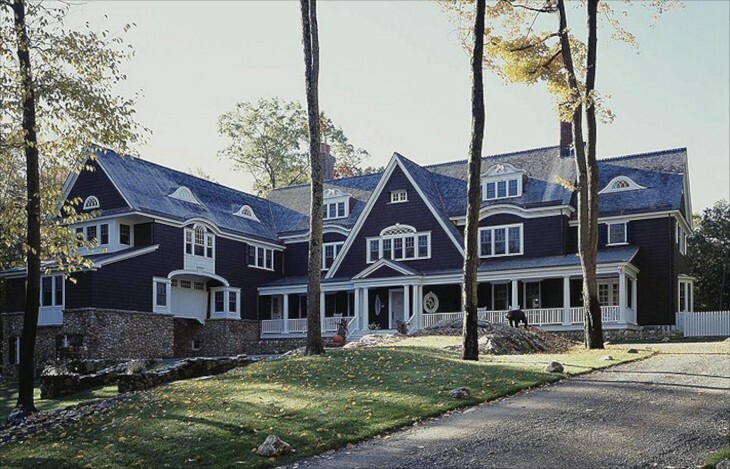 You have to know by now that I love Shingle style architecture. 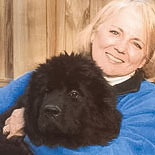 I came across this architect while looking for some shingle style details. 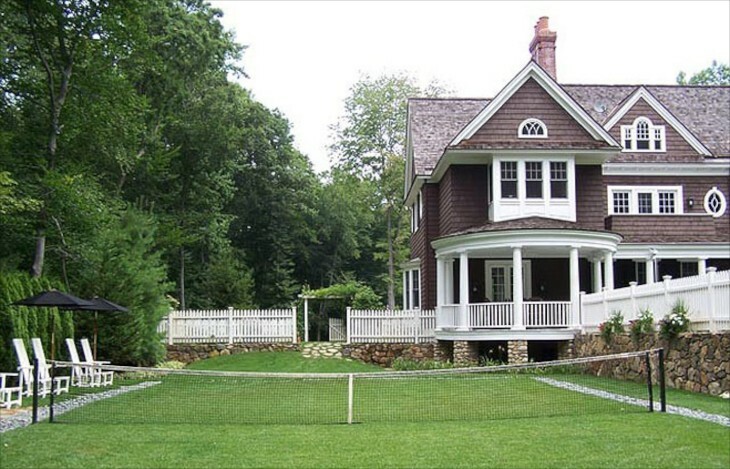 I found a new home designed by Alisberg Parker Architects and Interior Design of Old Greenwich, CT. When I looked at the photos of the interior I was quite surprised by what they revealed. I didn’t expect it because the house is located in Greenwich, CT, which is on Long Island Sound, and one simply expects a shingle house near the ocean to have some nautical influence. I would liken this unexpected interior design to finding a Dutch windmill inside the Eiffel Tower. But not only was I surprised, I was delighted. This interior pulsates with personality and elegance with touches of rustic throughout. It is about color, warmth and texture. 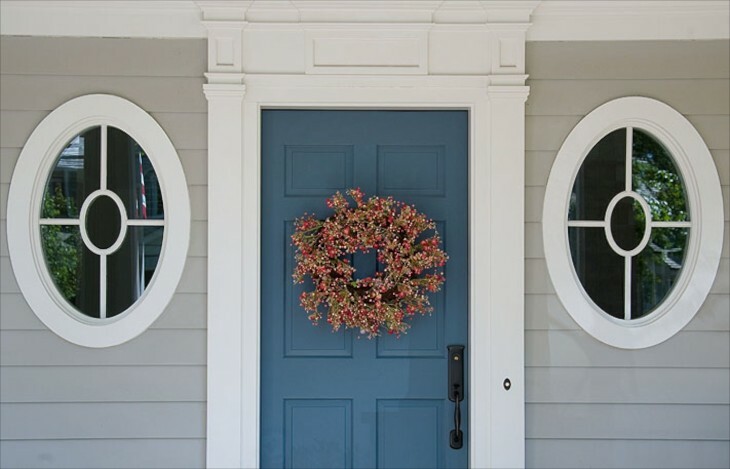 It looks like many items were lovingly collected by the owners, reflecting their personality, then in a beautifully curated interior design, a home results that is fun, cozy yet luxurious. 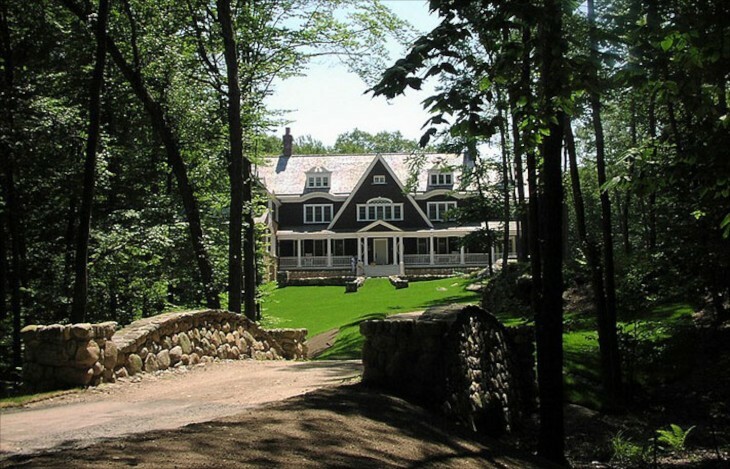 Rustic stone bridge allows a gradual reveal of the front facade, with beautiful details in this Greenwich, CT shingle home. Notice the roof pediments detail on the dormers. As you drive closer, more design details are revealed. To the left and right of the roof dormers are eyebrow windows. 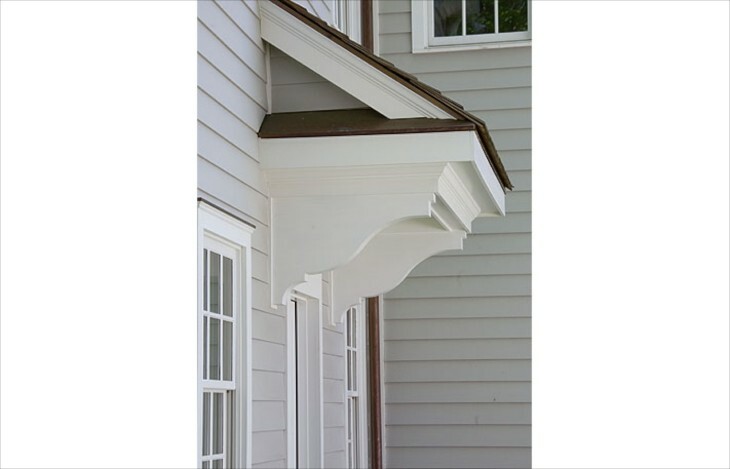 The architectural trim work is awesome. 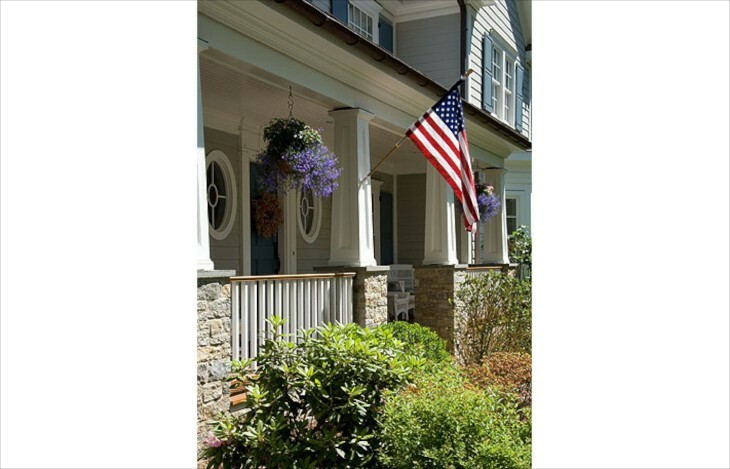 This home is new, yet has character enough that it looks like it has been there for a long time. The rear facade is not less impressive. I love the soft brown stain. The owners must be tennis buffs. I love the lawn chairs and umbrellas. Another view looking back to towards the rear of the house. All the rock walls, walkways, and foundations help create that “been there for a long time” feeling. 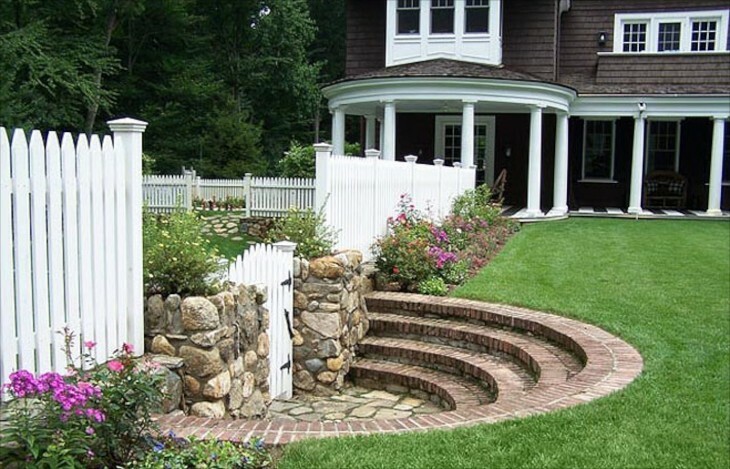 An unusual semi-circle step up to the upper part of the lawn from the tennis court. I love the whimsy! Whether actually playing a game of chess, or simply passing by, you have to smile. 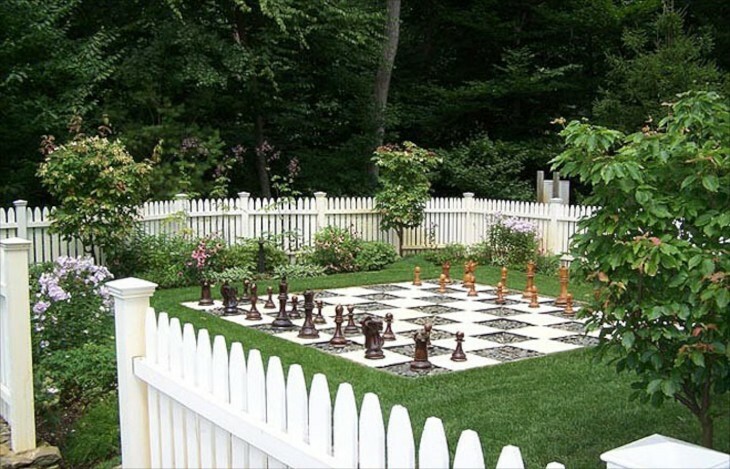 The cottage gardens and picket fence almost embrace the chess board. 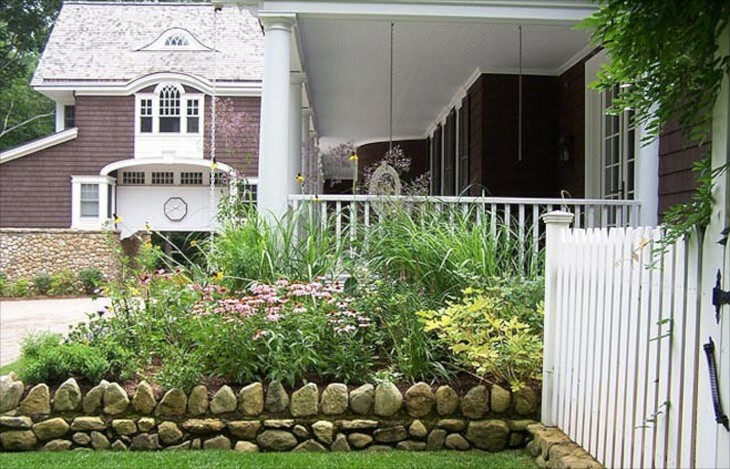 The house and gardens from the porch side look so established and welcoming despite the size of the house. Warm colors, mix of patterns in a living room with the same attention to architectural details that we saw on the outside. Coffered ceiling, oversized fireplace mantel, window casings and richly stained dark floors all add to the warmth. The same rock used outside finds it’s way inside with a fireplace that looks like a structural component. The same darkly stained floors, rustic furniture and modern poster art combine to make an eclectic statement. Really clever use of stained wood mounted horizontally to mimic flat log walls. If you look above the French doors you can see wide trusses in of the cathedral ceiling. 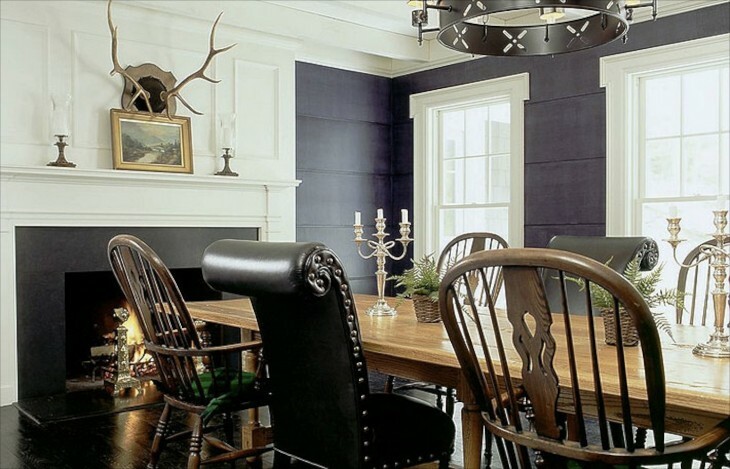 An antler chandelier completes the rustic look. 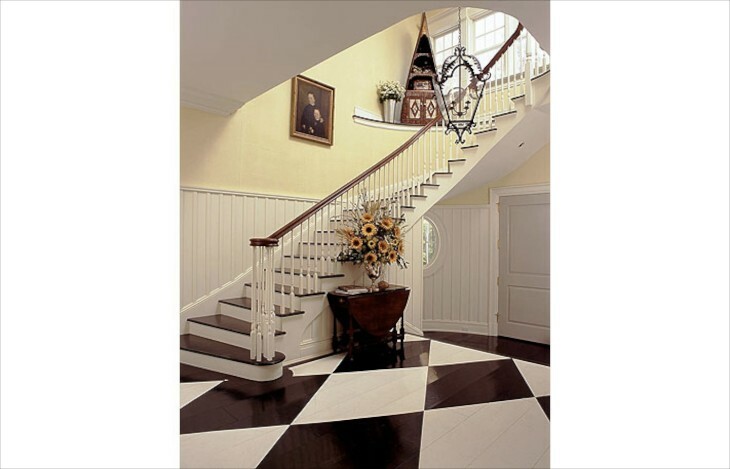 Horizontal dark wide plank walls pop against the white trim. Antlers over the fireplace mantel say rustic, as does the metal chandelier, yet beautiful and elegant silver candleholders add an elegance to the setting. 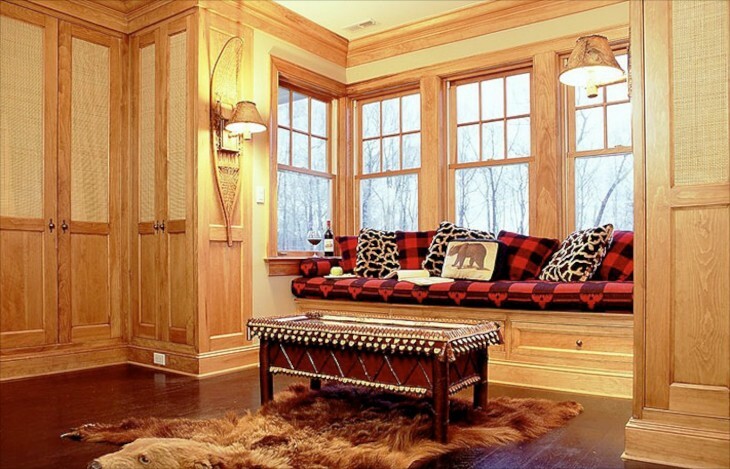 This room certainly speaks of a mountain hideaway, with Buffalo check cushions, and wall lamps fashioned from snow shoes. The bear rug kind of seals the decor style in this room. Refined and rustic mix together. 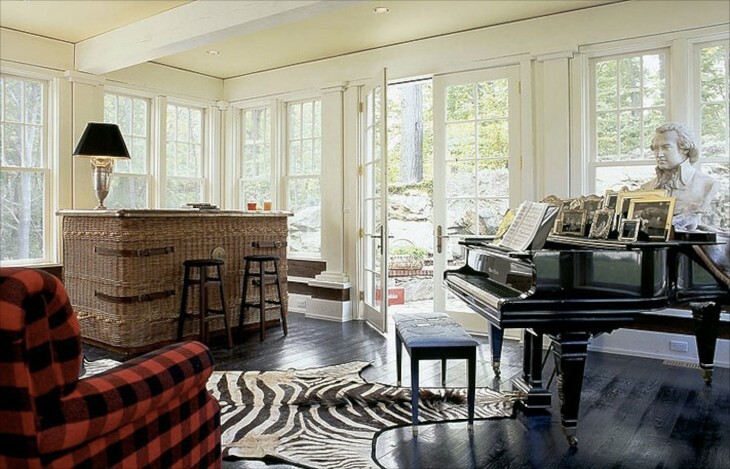 A grand piano with a marble bust, formal photo frames mix with a zebra hide rug, wicker and casual details. This girls room is a mix of formal , informal, rustic and fun elements. Every child would enjoy a loft to dream an afternoon away. The bathroom can be described as refined rustic……Notice the hide with tail on the floor! 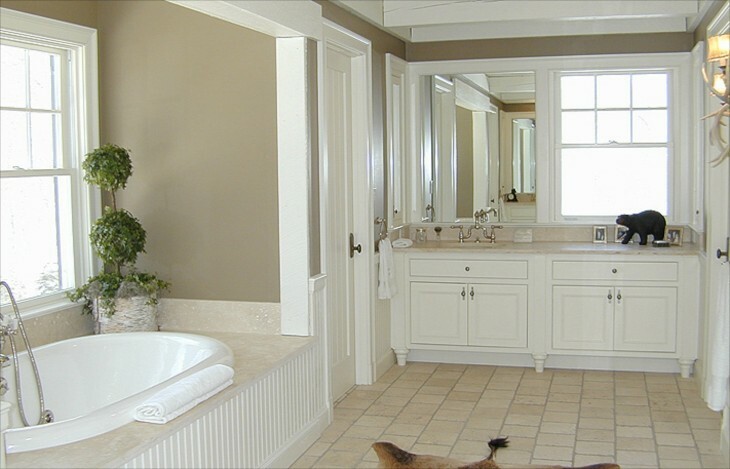 Also the bear on the vanity and the antler sconces. 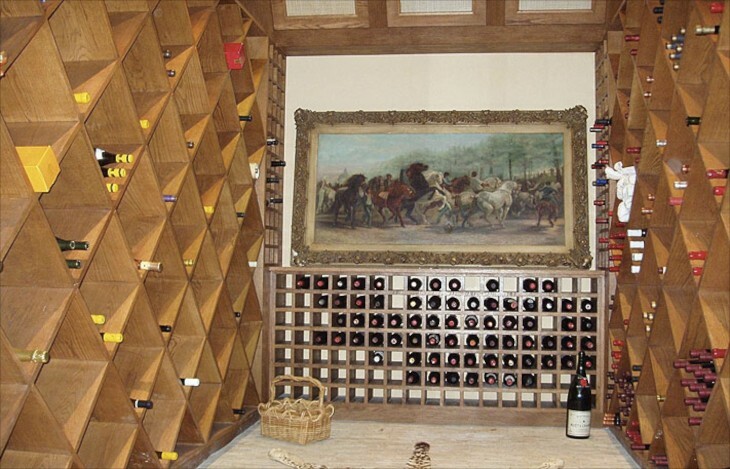 Nice wine cellar. Rustic with a piece of classical art. That completes the tour of this home. I wish there was more. I would have loved to see the kitchen. Below are a couple of other houses and interiors designed by the same firm. Such wonderful attention to details I wanted to include them here. 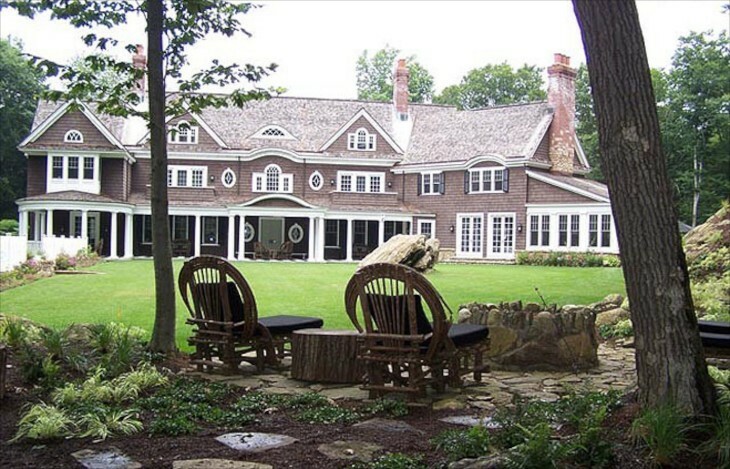 The one immediately below is in Old Greenwich, CT, and a beautiful example of a Center Hall Colonial. White kitchen with dark floors and counters. 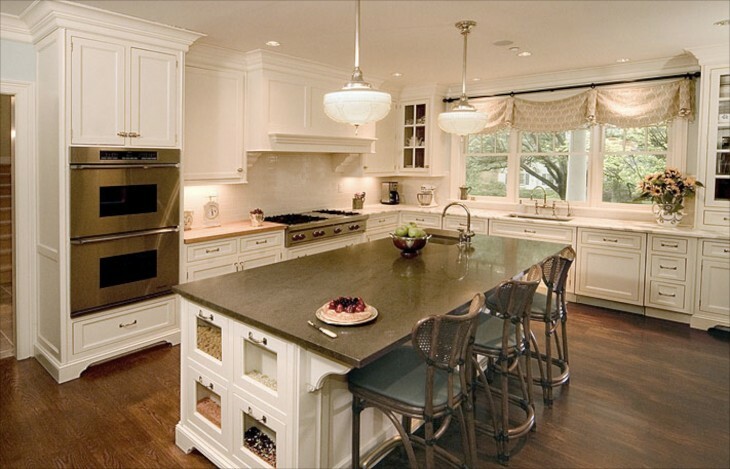 Like how the cabinets go all the way to the ceiling with beautiful cove molding and beamed ceilings. Love the lights over the island with furniture details. 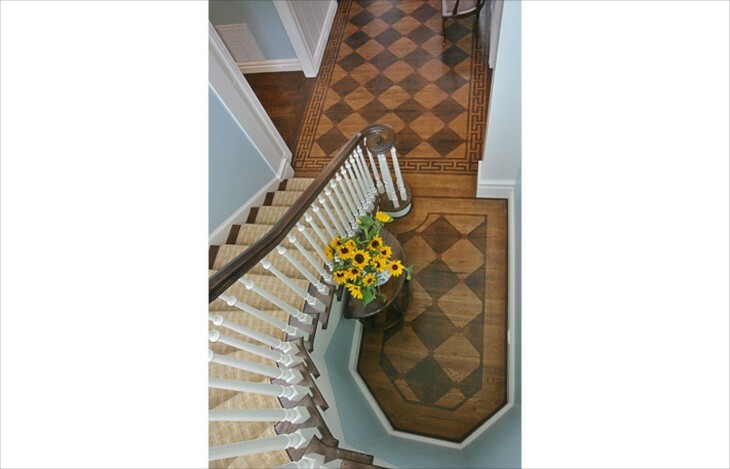 The dark floors and the matching stair carpet runner accented in blue is so simple and elegant. The paint technique on walls and ceiling further sets the tone for the formality of the home. I am so happy to get this feedback. It helps me in my choices for sharing what my readers enjoy seeing. I will soon be posting on Robert Stern. I have blueprints for a house he designed, a modern Cape Cod that I wanted to build, and have loved so many of the homes he has designed. This house just shows so well how to mix it up a bit. Quite impressive!! Love the stone work and chess set with picket fence outside on the first home. Also the stone bridge entrance. 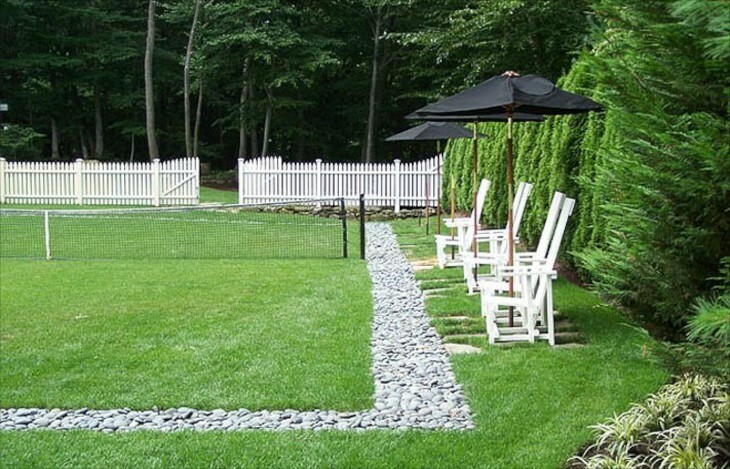 Nice tennis lawn as well. For me it would be bocci ball.